We are a local, family owned business located in Indianapolis serving all of Indiana. 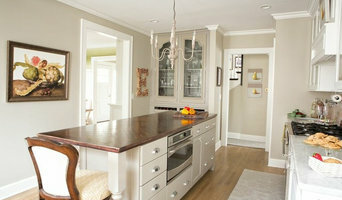 We love to help you with your home remodeling projects to maximize your space! We will work with you to until you are happy with the final design. Go to our customer review page to get feedback from our customers! They love their home transformations! 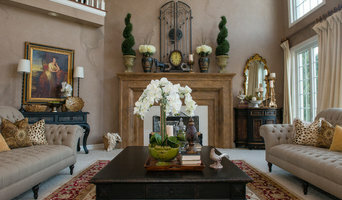 At Kristin Ann Interior Design, my goal is to enhance the way you live by making the most out of your space. I enjoy taking your personality and transforming it into well designed art. The result of my craft is exceptional creativity that is tailored and timeless. I am here to create a one-of-a-kind portrait of who you are, how you live, and what you love. Kristin obtained her Bachelors in Business from Tri-State University and has an extensive background in Business. After earning her Diploma in Interior Design from the Interior Design Institute, she went a step further and studied for her Indiana Real Estate license to become a licensed broker. She has also assisted in the Management of her husband's successful construction business (RenCon Sevices, Inc. located in Pendleton, IN). He is the co-founder with another partner and they began the business in 2008. "Imagination Transformed Into Reality"
Creating a lifestyle vision in our staged homes that brings buyers who are a good match and therefor are more likely to buy your home sooner, and close to, if not at, the asking price. Our response time is quick, and we pay close attention to detail. Consequently, we get results fast. Seven of our staged homes have sold to the first buyer. We have a warehouse filled with furniture, lamps, rugs, linens, and accessories in many different styles to complement your home's particular style. Locally owned and operated, we offer smart solutions that will market your home for a strategic sale at a higher price. Our quick and easy recommendations will elevate your listing above the competition and leave a lasting impression with buyers. We love working creatively with the items already in the home as well as adding from our own inventory to make the properties shine both online as well as during showings. 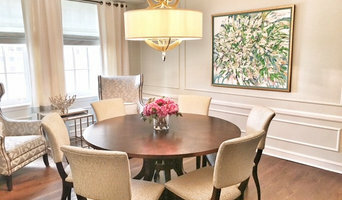 Not staging in today's hot market is like leaving money on the table. 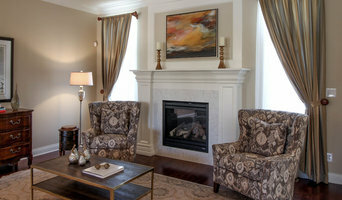 Indy Home Stagers a locally owned and operated full service home staging company serving Indianapolis and surrounding areas. Each home is staged to improve your property's listing potential and highlight the best features of your home, inside and out.